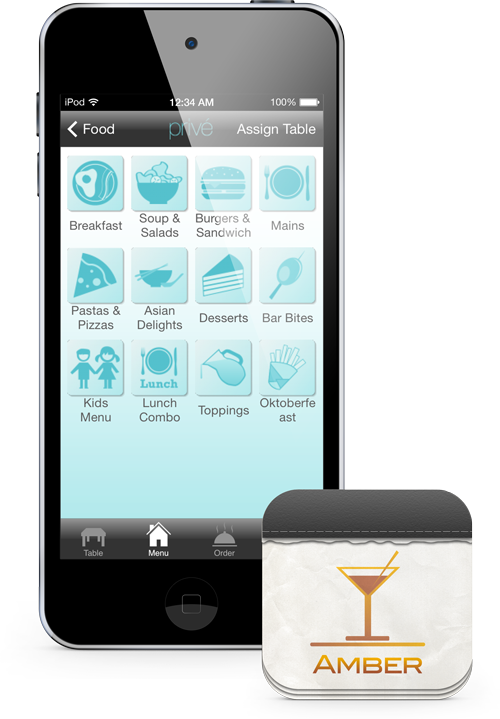 Amber e-Waiter Companion app is the complementary product to Sapphire – Wireless Ordering eMenu. Using Amber e-Waiter Companion, servers can quickly and efficiently take orders through iOS devices like iPod Touch and iPad mini. Orders are quickly and seamlessly sent to the kitchen allowing servers to provide better customer service. It is the first handheld F&B device using the iPod Touch. Operating on a peer-to-peer network, it operates much more efficiently compared to traditional POS remote terminal handhelds. Also, Amber e-Waiter Companion is purely used to process orders. The icons are designed specifically to make order taking easy, fast and efficient. Amber e-Waiter Companion is tightly integrated with our Jade – Next Gen. POS. A summary view is available for servers to quickly see the status of all orders. Armed with this knowledge, serves can better serve the diners. Servers will also know when an order is taking too long and take immediate action accordingly.